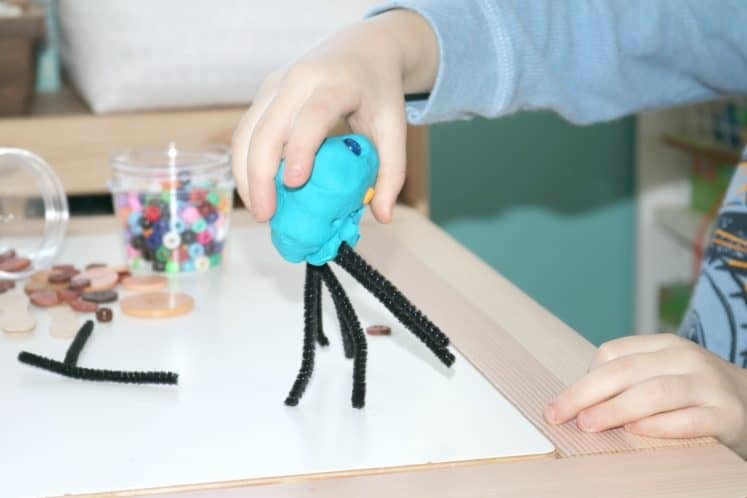 Little kids love to create and of course they love bugs too! 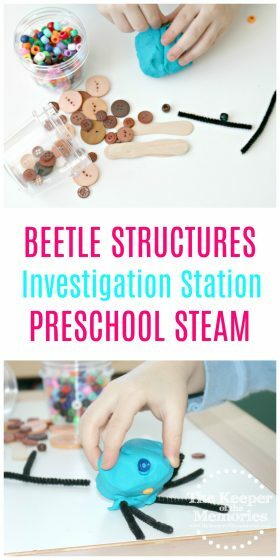 Check out this fun preschool safari sensory activity and make your own Beetle Structures using items that you probably already have at home! Seriously, y’all! How is January almost over? This is our last Going on Safari post before we move on to next month’s Health & Fitness theme. And as excited as we are to move on, we’re really going to miss all of the safari fun. You know, because every now and again there’s a month that really stands out and this was definitely one of them. It’s been so busy around here lately. And when life gets busy, it’s really easy to overlook the little things. But yesterday was one of those back to the basics kind of days. I got up early, got my work finished quickly, and after that it was all about us. The little guy and I made Beetle Structures, engineered bridges, and played games. Obviously baby girl hung out with us too. It was kinda a family play day. Even daddy joined in! There’s a whole lot of magic in watching the two little kids together. And every time I look at them, I can’t help but smile. 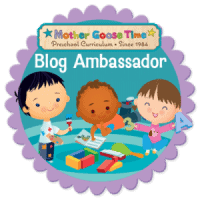 This is exactly the lifestyle that I envisioned when I set my heart on homeschooling. 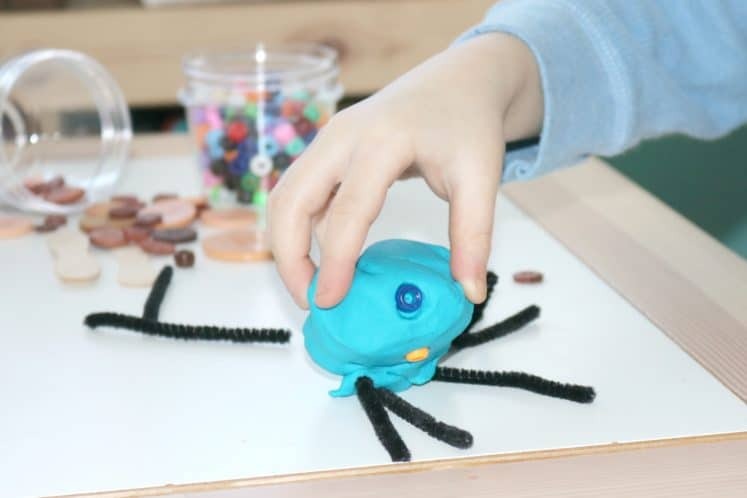 Set out materials for children to build and mold their own beetle. 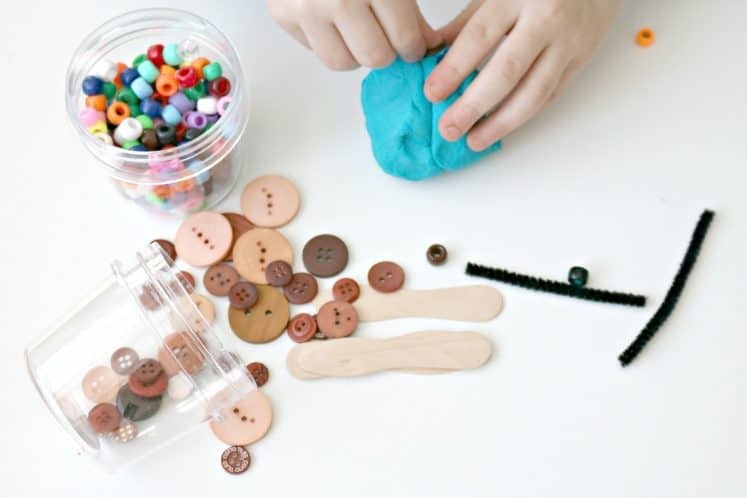 Set out materials such as playdough, toothpicks, golf tees, beads, pipe cleaners, circular bottle caps, etc. for children to explore. 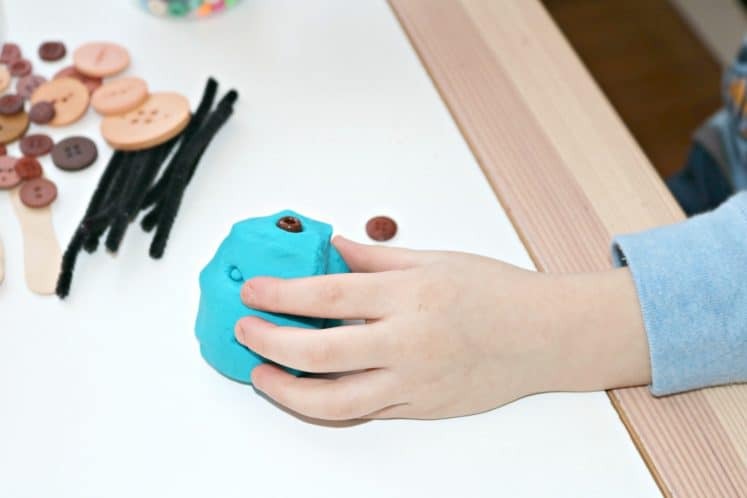 If desired, take a photo of the child’s beetle and hang it on the wall. What are the body parts of a beetle? What is special about your beetle? 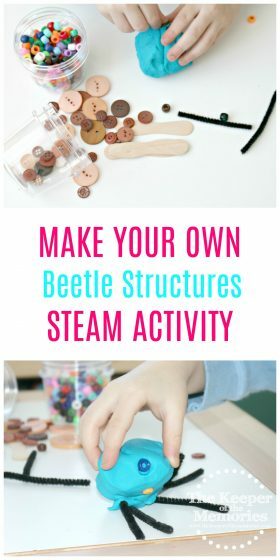 This activity was lots of fun and the little guy had a blast making beetle structures over and over again. 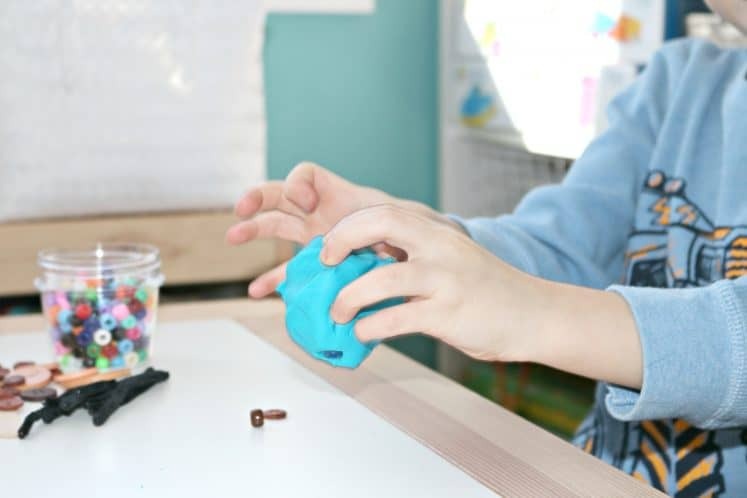 We actually started with red playdough and then ended up changing our minds and switching to blue. 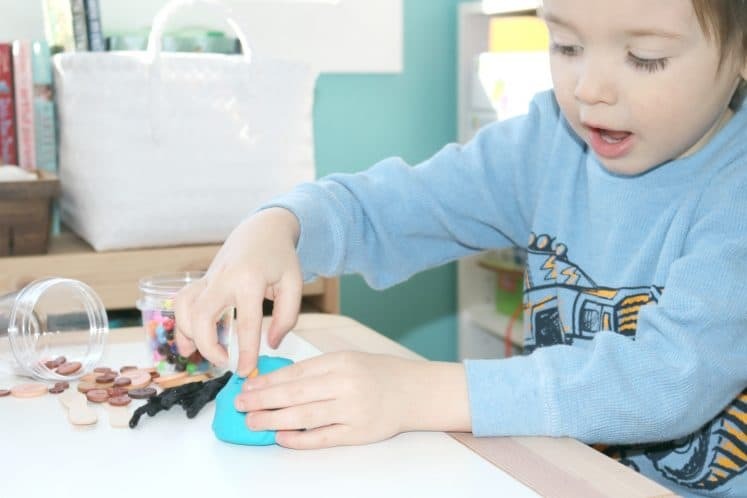 He also explained to me exactly how he made his beetle with the playdough. The Investigation Station activities are definitely favorites around here. 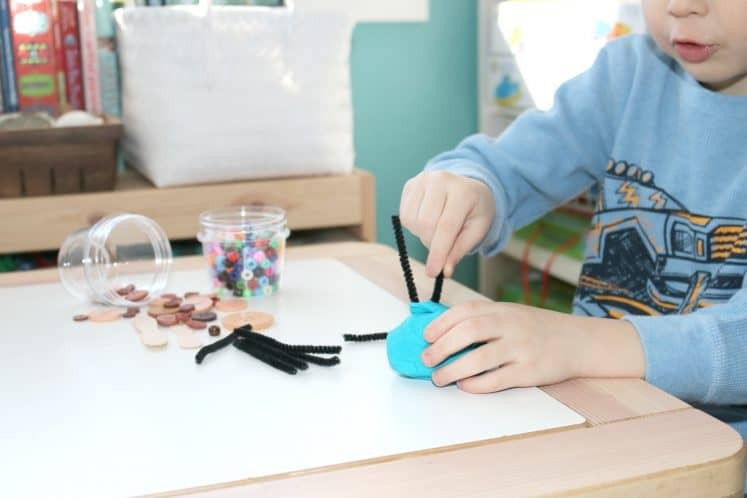 He loves creating and exploring and I love how they encourage thinking skills.